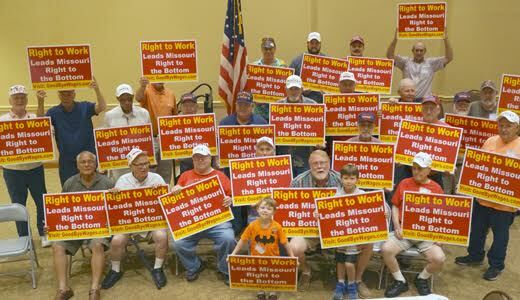 (St. Louis Labor Tribune and PAI) — The struggle over the right wing scheme to enact a so-called “right to work” (RTW) law in Missouri is coming down to the wire. With the Republican-dominated state legislature convening Sept. 16 for a “veto override” session, unionists are going door-to-door statewide to campaign for Democratic Gov. Jay Nixon’s veto of the measure. RTW will be topic #1 at the state capitol in Jefferson City. Besides the door-to-door campaigning, the Missouri AFL-CIO hosted a “No Override on RTW/HB116” rally on Sept. 12 at the Arnold City Civic Center to help sustain Nixon’s veto and defeat right-to-work – which workers and their allies call, with factual justification, “right to work for less.” That same day, Nixon joined Teamsters President Jim Hoffa at an anti-RTW rally in Kansas City. Other rallies were in Jefferson City and in St. Louis. And in prior weeks, the state fed organized precinct walks in Kansas City, DeSoto, Independence, Wentzville, Pleasant Valley, Sullivan, St. Charles, Bonne Terre and Arnold. The Missouri RTW bill is one piece of a nationwide right wing pro-plutocratic agenda pushed by business, its political puppets – almost all of them Republicans – and anti-worker interests. They convinced GOP-run state governments in Indiana, Wisconsin and Michigan not just to pass RTW measures, but to trash teacher tenure, privatize public services, cut workers comp and unemployment insurance, and outlaw prevailing wages, among other things. Republican leaders put pressure on their colleagues to follow the party’s RTW line, threatening to find primary foes to oppose defectors. Right wing anti-worker groups, led by the Americans for Prosperity – a shadowy lobby funded by the radical right Koch brothers, Kansas City oilmen – pumped hundreds of thousands of dollars into misleading media ads and flyers. Their object: To further the corporate agenda by stripping workers and unions of funds to defend themselves, by making the Show Me State the nation’s 26th RTW state, and letting workers have a “free ride” of getting basic union services without paying for them. The end result: Workers in RTW states each earn approximately $5,000 less per year than their colleagues in identical jobs in non-RTW states, studies show. And RTW’s Missouri state sponsor, Rep. Eric Burlison, R-Springfield, admitted it before an anti-RTW rally in May. “Nixon vetoed right-to-work last time it came up, but the forces behind right-to-work are now pressuring state legislators in an effort to get them to change their vote,” Missouri AFL-CIO President Mike Louis said. “If they succeed, it will make it easier for employers to deny workers their hard-earned pay. 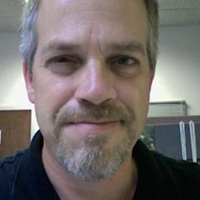 “Despite enormous pressure and money from outside, right-wing, billionaire-funded organizations like the American Legislative Exchange Council and Americans for Prosperity, we were able to get our legislators to stand up together and reward work and to keep wages at a level that Missourians can sustain their families on, instead of passing blatant political attacks on working people,” Louis said. But enough must do so one more time, he added. “Now’s the time to show our legislators that when they stand with us, we’ll stand with them,” Louis said. Nixon explained his RTW veto in a Labor Day op-ed in the Kansas City Labor Beacon. “Right-to-work is a divisive scheme with a misleading name,” the governor said. “The truth is that House Bill 116 is simply another attempt by out-of-state special interests to undercut the wages of all workers and further tilt the balance of our economy away from the majority of Missourians. State AFL-CIO Political Director Merri Berry said the precinct walkers asked respondents “right there, to write a note to their representatives. “We just need them to write a short little paragraph saying ‘Thank you for voting no on RTW’ and ‘Please sustain the governor’s veto on HB116.’ They fill out the postcards and we take them back and deliver them.” She praised state unionists for “turning out in droves” to encourage people to write their lawmakers.